Wooler Golf Club Ladies’ section is working hard to make sure that they are able to continue to provide quality golf for people in their local community. Golf Club Magazine recently caught up with their Secretary Pat Tatters to find out more about the work they’ve been doing lately. “Back then the club was run totally by volunteers for course maintenance and behind the bar. All catering for events was done by lady members and the wives of male members. The course then and now is in excellent condition and our greens are second to none. “The ladies and the gents have equal standing at our club and there are no restrictions on when we can play. In fact our competition days are every Saturday, Sunday and Tuesdays unless the course is closed for an open. Our fees are the same whether you are male or female. “I am the secretary and handicap secretary for our very small ladies section which now only comprises of eighteen lady members. Like many clubs in Northumberland our membership is not getting any younger and there are very few young girls interested in golf it seems. “Our club requires parents to transport young members to and from the club which is not an ideal situation for attracting young players. 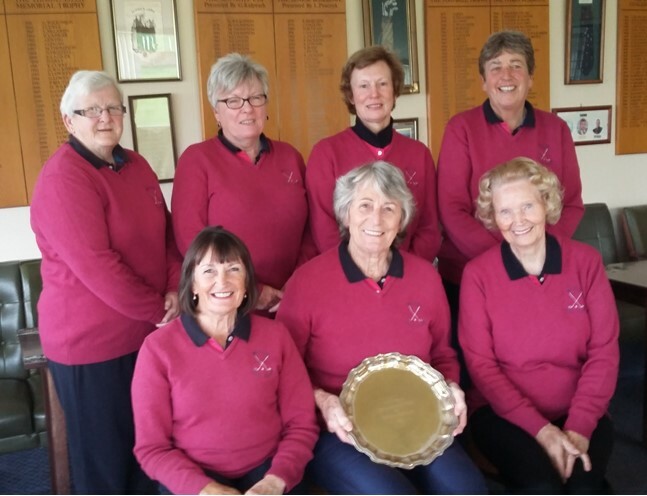 One of the most challenging aspects of ladies golf at Wooler is that there are usually only 7 to 10 ladies who regularly compete in the many competitions that we have. “The general mood in the ladies section is a feeling of uncertainty about how long the section can keep going with the membership reducing. A number of clubs in the region are having the same concerns and one or two ladies sections have already folded. “However, even with such a small ladies membership and only eight players to draw on for our league matches, our mood about competing with other clubs is very positive. We very often are winners of the North Northumberland Friendly Ladies Golf League and have won it for the last two years. “Financially in 2017 and so far this year we are holding our own. The ladies section this year is without a captain for various reasons and so we decided to run the section with the committee. So far it is going well and we are going to review the situation at the end of this season to see if that will be the way forward for our section. Most of our lady members have been captain at least twice and some even three times. “Our club is a very community focussed club, especially since our new caterer came on board three years ago. Many of the locals come up to the club for Sunday Lunches and there are many birthday or anniversary events catered for. Just recently we have had 90 motor bike enthusiasts ‘camped on our doorstep’ over the weekend using our facilities and being fed and watered. It was a great success for the bikers and the club. “Any ladies looking to try the game of golf or join the club should, in the first instance, contact Pat Tatters on trishtatters@sky.com and we will gladly take them out on the course and introduce them to game. “We are a very friendly, relaxed club that offers great exercise, great food and above all fabulous views over to Holy Island and up to Scotland. Anyone wanting to enter any of our ladies, mixed or seniors opens they are entered on Golf Empire. Any gents wanting to join the club or take up golf should contact Dave Symons on dsymons26@hotmail.co.uk.